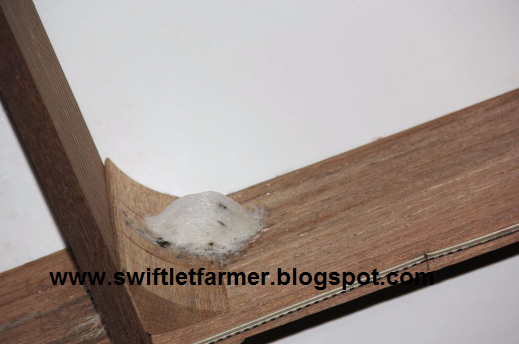 These pictures were taken from a Swiftlet farm located in the North. 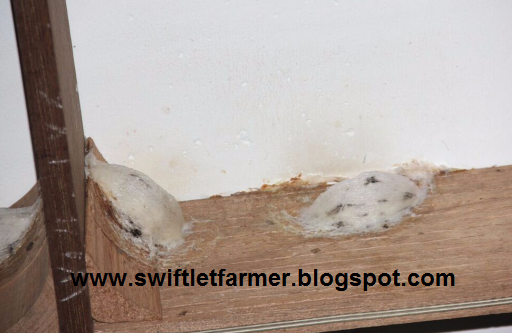 This Swiftlet farm belongs to my blog reader. 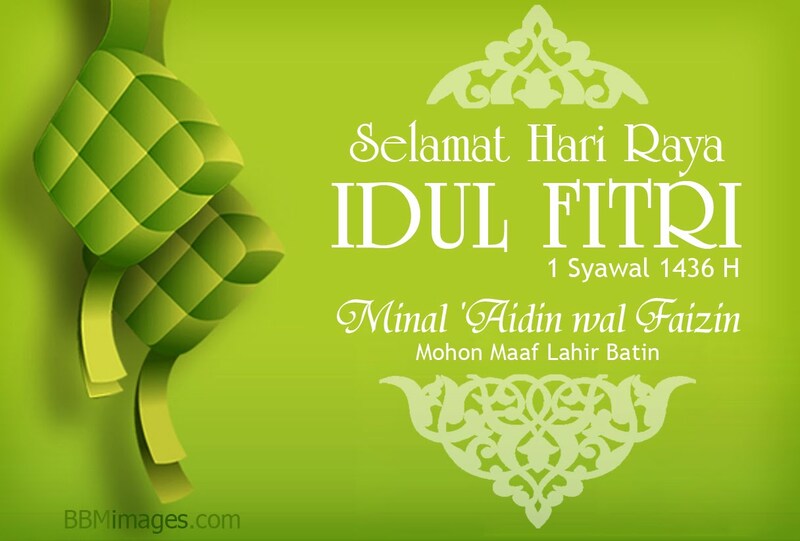 I got to know him through my blog. Eventually we became good friends. 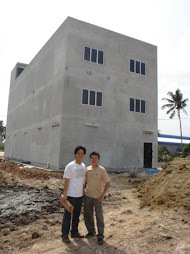 A 3 storey Stan-alone not far from a small town which the 2 upper floors were converted into Swiftlet farm. 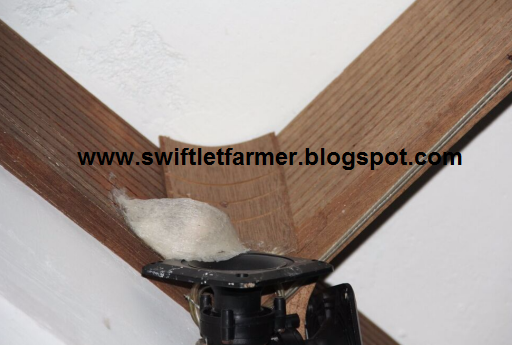 This is his first Swiftlet farm and he is on the right track. 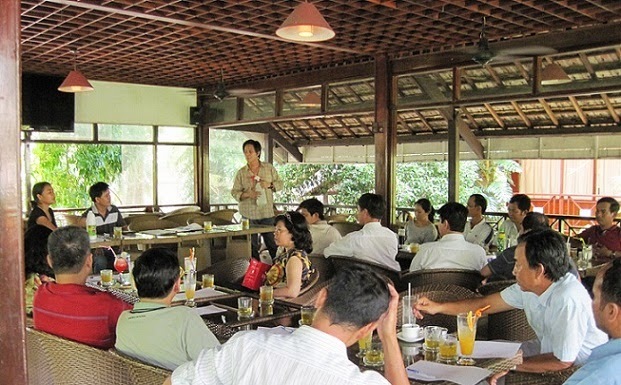 He has never attended any seminar. 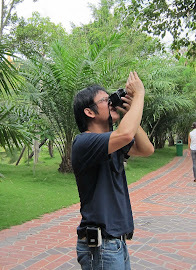 He started off with reading my blog and most importantly having many Teh Tarik sessions with me. He had learned a lot. He could be a Sifu now. 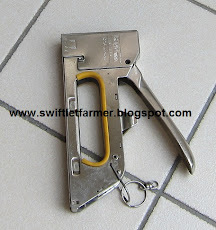 A real knowledgeable and skillful person now who knows almost everything from good farm design to managing the internal of the farm to create good quality nests. He has proven it. The pictures showed it all. 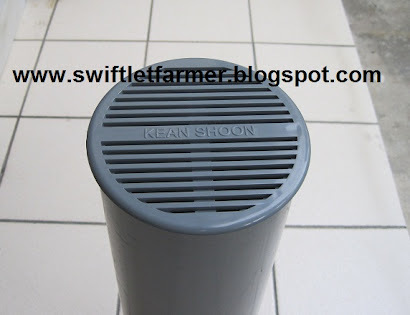 He is the Chief Engineer of a Multi National company, a Master degree holder in Engineering who quit his job to do full time Swiftlet farming. That's reality, love what you are doing and you will excel in it. 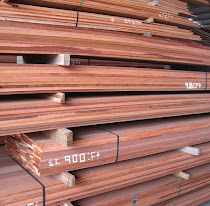 Being a technical person, he did lots of charting and comparison. 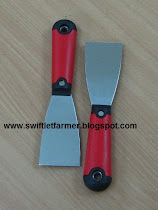 He collects data on all the findings in his farm and compared them. He would show me all the data and I would help to evaluate them and explain to him. This is how he learns. 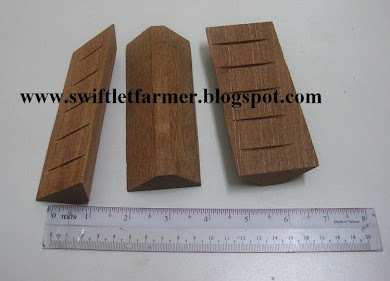 This Swiftlet farm was built based on the idea of guide apprentice which means I would teach him what to use in the farm , what needs to be done, why things are being done this way,etc and he would observe the changes and learn from there. 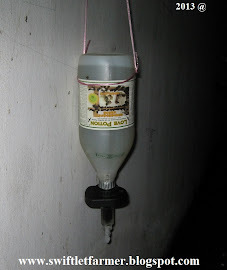 This is a 100% Love Potion Swiftlet farm which means it only uses Love Potion ( from starting sound until now). 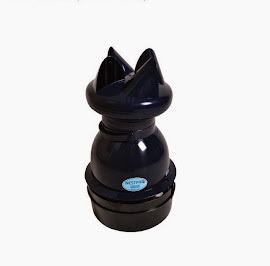 It has Love Potion Drippers in all Nesting areas and they drip into the Humidifiers respectively. 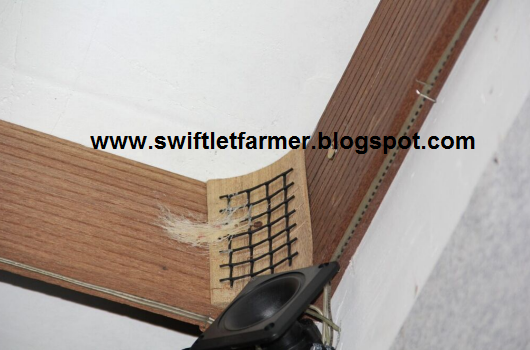 A small piece of black plastic net is placed at the Corner boards to help young Swiftlet to hang on them to build nest. All Corners board are sprayed with Love Potion every 2-3 weeks once. 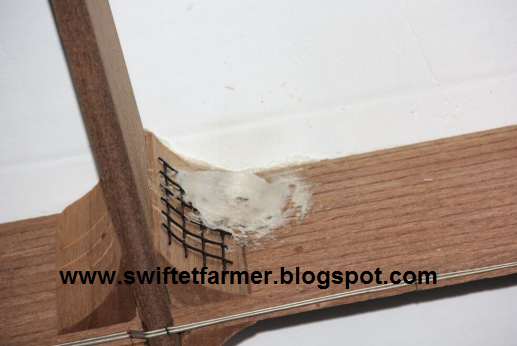 The humidity in the Swiftlet farm is at 85-90% at all time. It is hard to achieve that but he managed to do it. (Of course there are ways to do it). 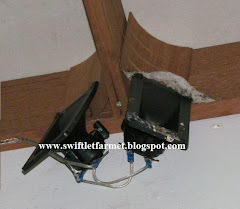 This Swiftlet farm only uses 3 sets of HI-Nest Amplifier. Some may ask "why only use 3 amplifiers not 6 amplifiers shifting them alternately every 12 hours". Well ...because we are talking about quality here, not quantity. 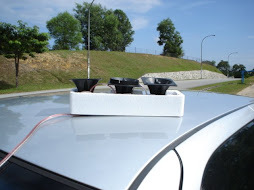 Firstly we didn't overload the Amplifiers. Secondly Hi-Nest Amplifiers are using Toshiba capacitors. 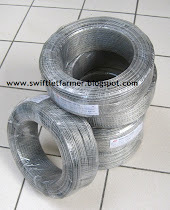 They produce better sound quality that tuned to Swiftlet frequency. 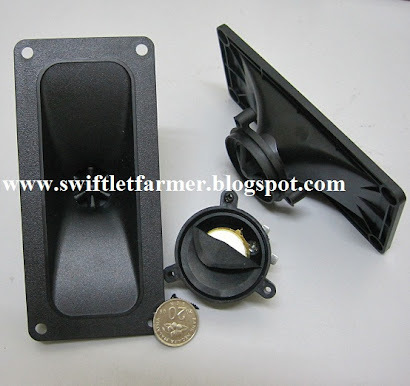 HI-NEST B52 Amplifier is the first Amplifier that is specially tuned and made for Swiftlet sound. 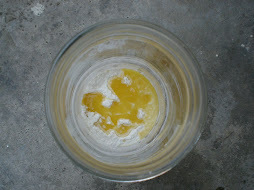 All tweeters are of Hi-Nest GS18. 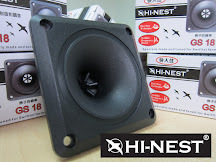 The combination of HI-nest B52 amplifiers and GS18 tweeters produce good quality smoothing sound that calm birds. 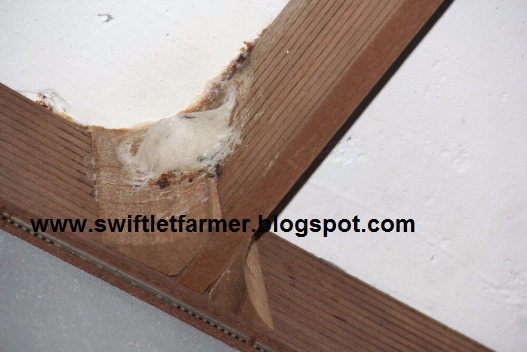 When Swiftlets are calm they would make cleaner and better shape nests. 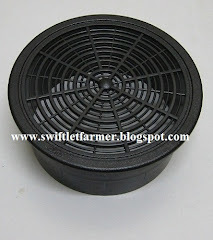 The clean, white and good shaped nests in the pictures is the result of what we used in the farm and how we managed it. It is has been proven again and again. If we can do it so can you. 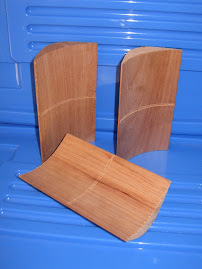 It is a matter of what you use and applying the right technique. This is not magic or myth, it can be quantified and backed by data and charts and pictures. 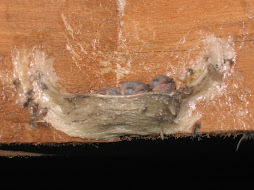 As can be observed from the pictures these nests are super white and they are built at the corners. It indicates they are not from old birds. 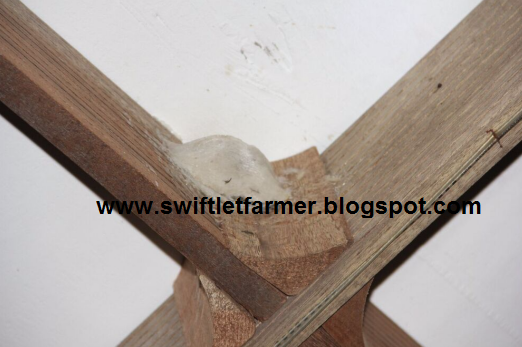 This proved that even young Swiftlets could make good quality nests if the environment of the farm were created to suit them. 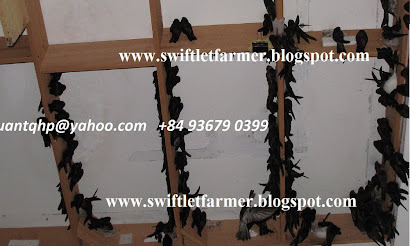 There are many stages of managing a Swiftlet farm. 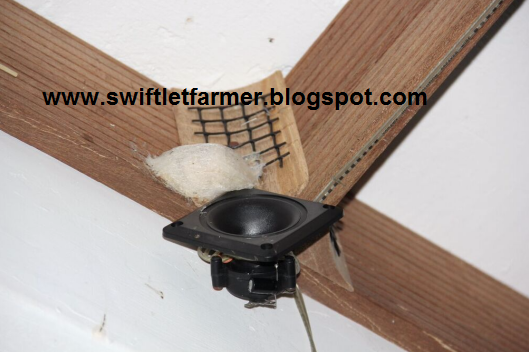 1) Initially when we first started the sound our objectives were to attract as many Swiftlets as possible to play at our farms. 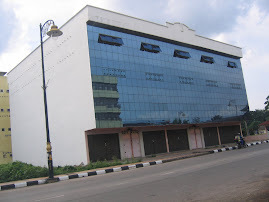 2) Once we had acquired that, we want them to stay. 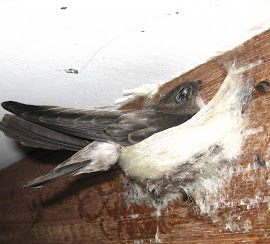 3) Then we want them to make nests. 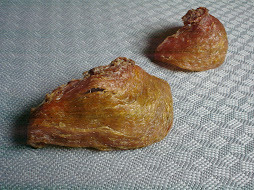 More nests. 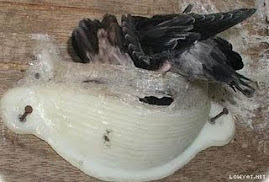 4) Retain the young birds as we want the growth to increase both the birds and nests. 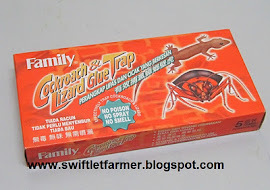 5) Then maintain and to increase the nests quality as it fetches better price. 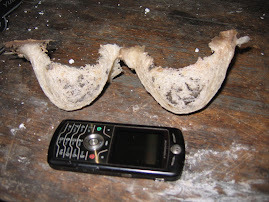 6) Whiter nests, bigger nests, cleaner nests. 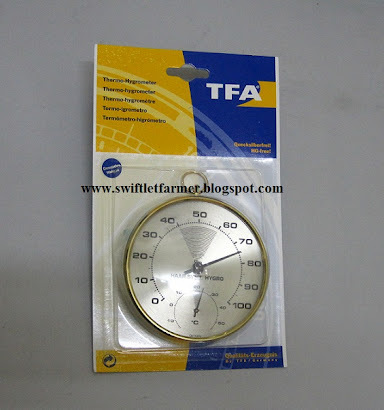 7) Manage to maintain 3,4,5 and 6. 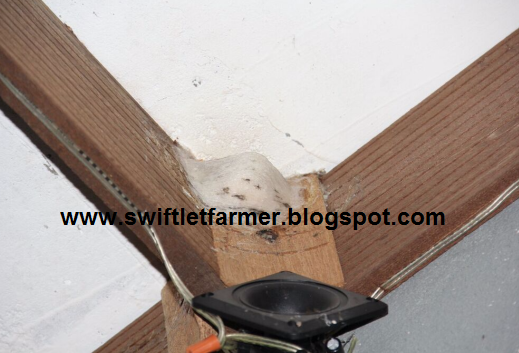 There are so many stages here , where do your Swiftlet farms stand?